Who wants a piece of this? I've been thinking for weeks about the next delicious looking thing to do, and this peach pie was it! 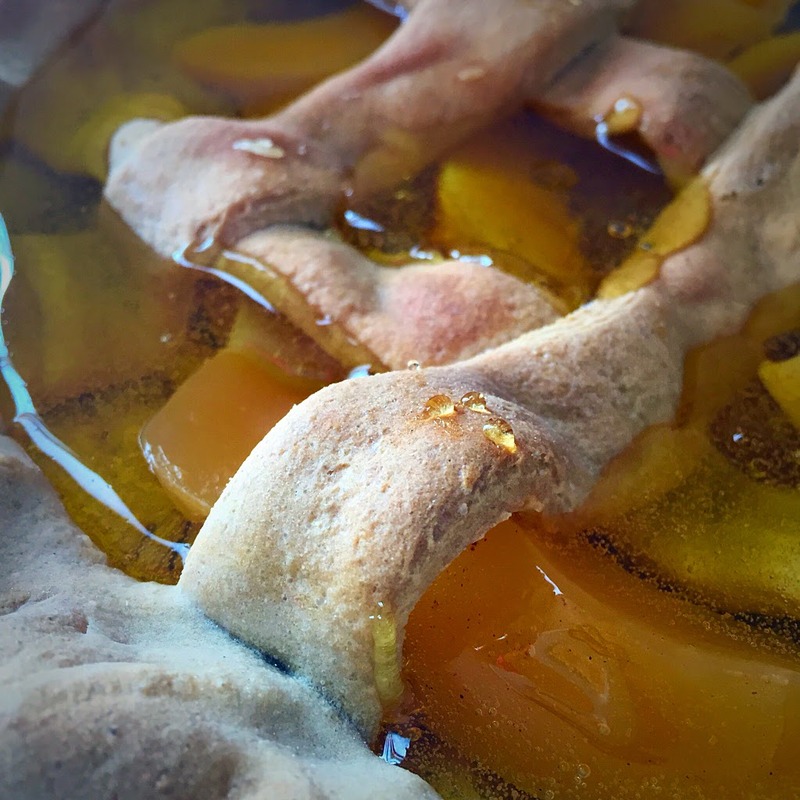 The crust was carefully hand shaped, and I wanted every peach to look like it was a part of real filling. You can see how some of them come through the lattice crust. Each piece was placed in the way was, simply because peach pies are not very neat when they come out of the oven. So, when I designed this pie, I was very particular about the detail of the peaches in the pie. The pie crust, much like the other pies I've done, was very carefully constructed so that it wouldn't fall apart. These pies are very intricate in their design, believe it or not. Sometimes, they just need a bit of extra care just to get them to come out right. They can be very tempermental! You can see the peaches really well in this one. It was just the way I wanted it, with all the splatters of peach filling on the crust. Looks like a real pie to me, and it has a really peachy, sweet pie smell. The bright yellow of the pie would make a refreshing spring addition to any kitchen area where you'd like to spruce things up a bit, and the scent throw is amazing! How about your comments on our new peach pie. 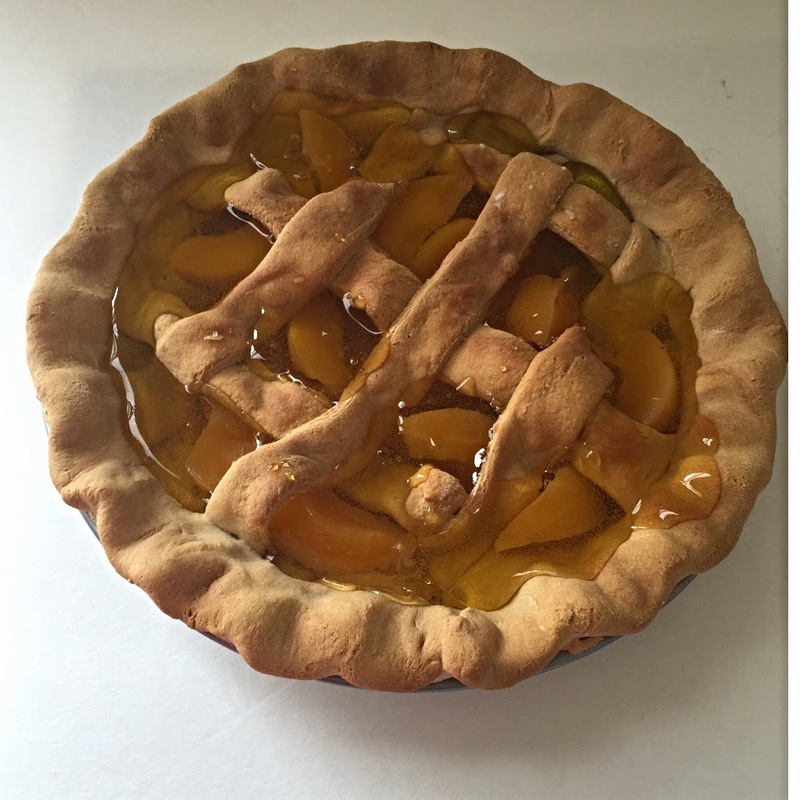 You can find our new farmhouse fake peach pie in at Everything Dawn Bakery Candle Treats. Also for other ways to spruce up your kitchen this spring and summer, Shop Houz.